Pinewoods has many opportunities for families to help out. These programs rarely take additional funds out of your pocket, but make use of things you're doing now for the benefit of Pinewoods. 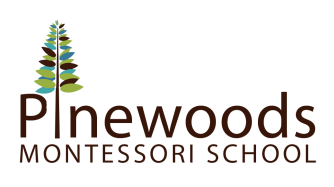 Your purchase of a School Scrip Card allows you to donate 5% of your purchases directly to Pinewoods. Here's how it works: purchase a rechargeable School Scrip Card at Weaver Street, also known as a Gift Card. When you purchase the card, be sure to tell the cashier to use School Scrip Number 236 for Pinewoods Montessori. Then use your card every time you shop at Weaver Street in Carrboro, Southern Village and Hillsborough. We are participating in ThinkRecycle, an environmental education and fundraising program which allows us to raise funds for the school while promoting care for the environment. This is an ongoing program, and you may bring your recyclable items at drop off or pick up at any point throughout the year. For every 24 items we collect, a tree will be planted in Pinewoods' name!